CHIREDZI - Triangle United FC have revived their hopes of winning the 2018 Premier Soccer League (PSL) or to at least finish the season with good points after netting six points from the previous two matches they have played. Two weeks ago, Triangle FC travelled to Sakubva Stadium where they beat Mutare Rovers before their win against Dynamos FC at Gibbo Stadium last weekend. These wins revived their hopes after their devastating defeat at the hands of Herentals FC at the National Sports Stadium the previous week. The victories put Triangle FC at 4th position on the Castle Laager PSL log with 26 points, below Bulawayo giants, Highlanders with 29 points. Ngezi Platinum is on top with a sound 38 points followed by FC Platinum, also with 38 points. The Sugar Sugar Boys have so far lost five games and have settled for a draw in two, but they have won eight matches and are hoping to win the remaining 13 so that they can finish the season with 65 points. The team's coach, Taurai Mangwiro said he was pleased by the team's latest level of performance, saying the winning spirit ought to continue. "I am excited by my team's performance especially the victory against Dembare and Mutare Rovers. I cannot single out any player, the team has done fairly well," said Mangwiro. Triangle FC striker, Collins Dhuwa was probably the most notable player during the match against DeMbare, netting a hat trick which frustrated the visitors before Ocean Mushure was red carded for scolding the referee in the 86th minute. Devout Triangle FC fan, Alfainos Mangoma said the team ought not to slow down as supporters were now in high spirits. "We are playing well. We hope this will continue. We want to win and we are confident in the defence abilities of such players as Chivheya and Kawondera. 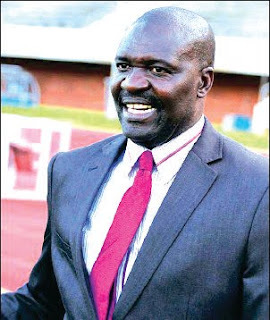 "Lameck Nhamo is also valuable resource for Triangle FC, he has been doing very well for us. All the best for him," said Mangoma.